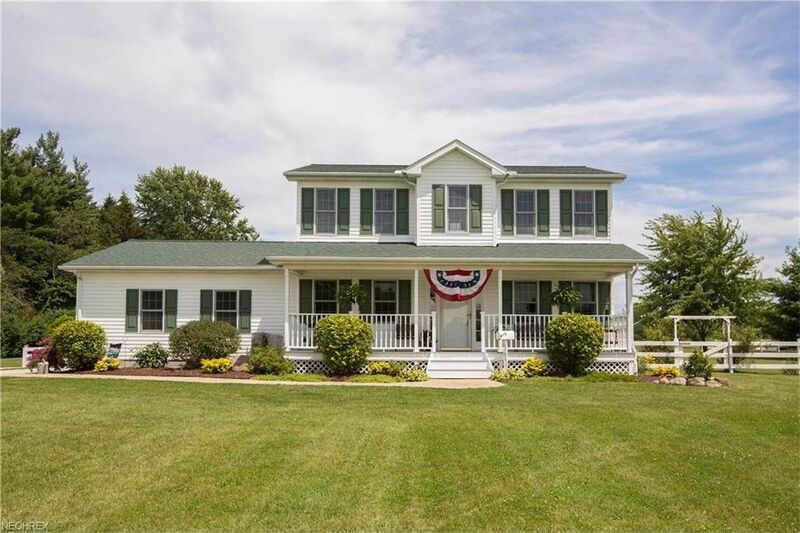 Perfectly serene & pristine, this gracious & stately colonial boasts 3 bedrooms and 2.5 baths and sits majestically on 4 beautiful acres deep off the road. Not only a beautiful & quiet setting but lovingly manicured & maintained. A charming front porch welcomes you to this darling home with open center hall flanked by formal dining room & den/office. The family room is spacious & streaming with light and seamlessly flows into a lovely & most functional kitchen offering loads of counter space, appliances & center island that hosts wonderful gas cook top & built in oven. Huge sliders off the kitchen open to a delightfully charming deck that overlooks this amazingly private & gorgeous slice of heaven. All 3 bedrooms are upstairs with the master suite having an attached bath with double sinks, separate shower & bath tub plus walk in closet. 2 additional bedrooms are comfy with ample closet space while the 2nd full bath is conveniently just steps away. The outbuilding/barn is complemented by horse stalls, tack room, running water & plenty of storage. This very impressive property is wonderful and graciously gives you space to roam & the pleasure to delight in it. Main house roof 2017. Directions: Just South of the Square.